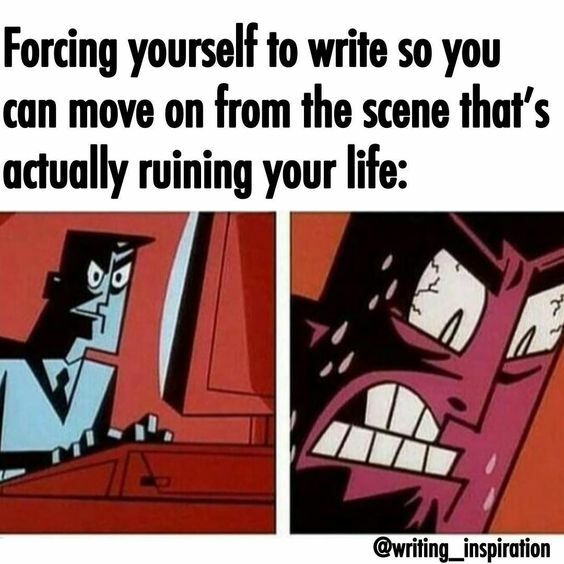 MUST… FINISH… SCENE! You know when you’re watching a scary movie, and the character is running down a hallway, and that hallway suddenly seems to stretch infinitely in both directions. The end is in sight, but it seems to be getting further away the closer you get. That’s a lot what writing can feel like at times! I imagine once you break through this point it’s time for a nice pat on the back. Make sure to reward yourself in some small way or go big. Whatever works for you!